Jim McHugh is simply one of those people who cannot rest. There’s always a shoot, a project, a meeting, or an idea to develop. He’s also someone who can create opportunities for himself, and that alone is something that I’ve always admired about him. A lifetime of experience in the photographic industry from the perspective of a commercial, editorial, and fine art shooter makes him someone you want to have conversations with, because you know you are going to learn something. The personal relationships that he’s forged over the years with so many prolific and forward thinking artists from every walk of life bring even greater meaning to his words and photographic portraits. His imagery of the people and processes of artists from James Turrell, David Hockney, Noah Purafoy, and Allison Saar, to contemporary graffiti artists like Big Sleeps, Prime, and Defer show a photographer fully invested in not just photography, but in the whole of the art world. A Jim McHugh interview, conducted thoroughly, would truly take days to do properly. However, I do hope that this teaser of his words and images makes you sit up, take notice, and begin a valuable relationship of your own with his work. 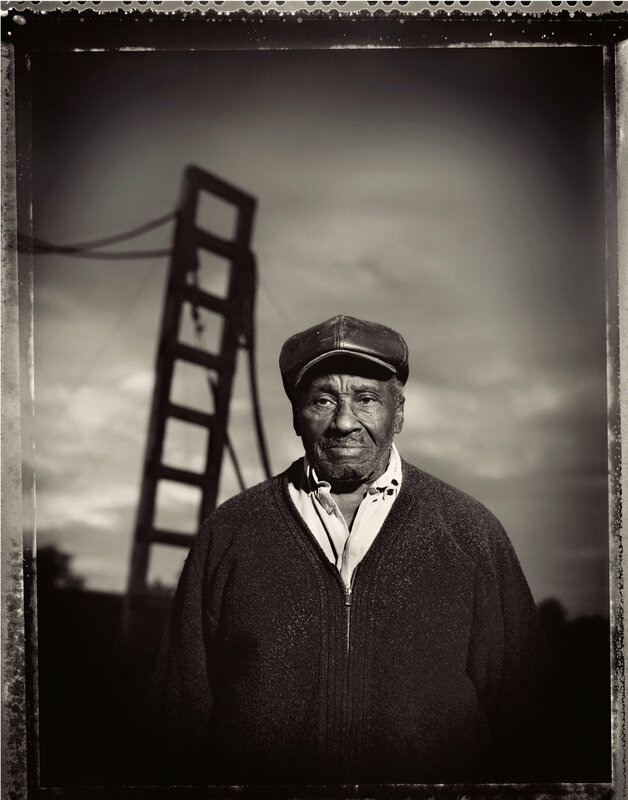 Jim McHugh has garnered many awards for his photography and is included in prominent collections such as The Museum of Modern Art, The Walker Center, The Polaroid Collection, and the National Portrait Gallery in London. He has exhibited widely both nationally and internationally. 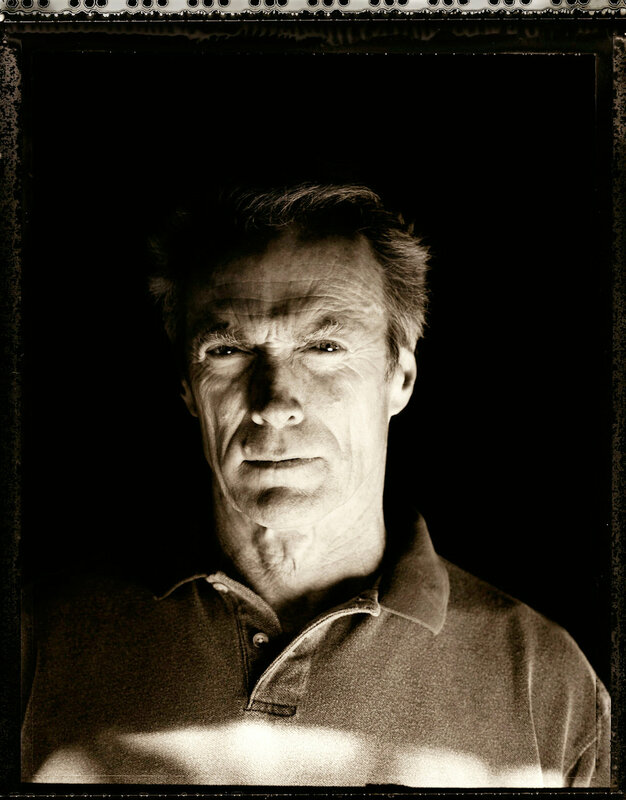 In 2010, the United Nations honoured him with the IPC Professional Photography Leadership Award. Jim also won The International Photography Awards’ First Prize for Fine Art Photography 2007, and George Eastman House awarded him Best of Show in 2008 for architectural imagery of Los Angeles. Jim attended the master’s program at the UCLA Film School. He went on to become one of the original contributing photographers to People magazine, an official photographer for the Grammy Awards, and a contributing photographer to Architectural Digest. 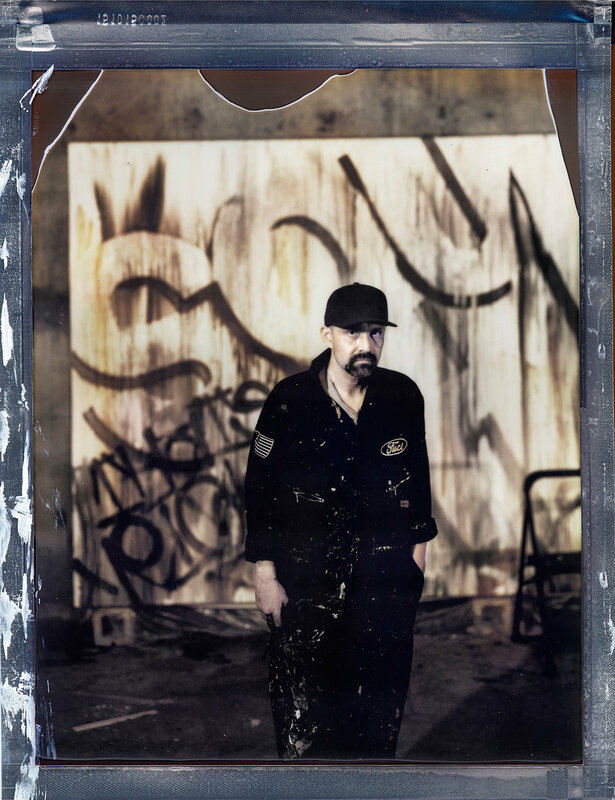 He is renowned for his large format Polaroid images of Los Angeles, urban landscapes monumentalizing that which is now invisible and derelict. These pictures were first exhibited at Timothy Yarger Fine Art in 2010 in a show of Jim’s work titled Let’s Get Lost: Polaroids From The Coast. Jim is critically acclaimed for his series of artist portraits that include Ed Ruscha, John Baldessari, and David Hockney, and he has published several books on artists. His artist portraits were first exhibited at The James Corcoran Gallery in Los Angeles in 1984. In 2011, the Yarger gallery presented Los Angeles: 40 Artists - Photographs by Jim McHugh in partnership with the Getty Museum’s Pacific Standard Time program, celebrating art in Los Angeles from 1945 to 1985. Michael Kirchoff: How and where did your career start? Where you always destined for a lifetime of photography? Jim McHugh: From early childhood I have taken pictures, avidly since 9 or 10 years old. I bought my first 35mm camera with saved up allowance money when I was 12. My career started in the mid- 1970s, when I was going to UCLA Film School. A close friend of mine, Steven Jacques, was a young, much published journalist. To earn extra money while in film school, I began taking pictures for many British newspapers Steve was writing for. Very surprising to me, one assignment led to another. Soon I was working for for the Los Angeles bureau of Woman’s Wear Daily on an almost daily basis. Woman’s Wear was an excellent experience, shooting everything from fashion shows, to celerity layouts and travel stories. Best of all, WWD was seen by all the top magazine editors in NY, which lead to bigger assignments from Newsweek and other important American publications. The biggest break came from a very new magazine, recently started up called People Weekly. Just a week after I had shown my portfolio to People’s photo editors, by sheer luck, a Friday afternoon call at 5pm arrived when none of their seasoned TIME LIFE photographers could be found. I landed my first assignment. I worked for People for the next 25 years. It seems like the break always comes on Friday at 5, if you’re new at this, stay ready. MK: The world of photography has gone almost entirely digital, yet you use film and cameras from what seems to be a bygone era. Why? JM: Before "instant” photography, I was hooked on large format portraiture. When I was 13 or 14, living in Rome, Italy with my parents and already an enthusiastic student of photography I visited a fantastic Yousuf Karsh exhibition, large, commanding B&W prints of Hemmingway, Churchill, John F Kennedy and others. It made a lasting impression. Much later, in LA in the early 1980s I was working constantly for People Magazine, which was exclusively a 35mm “candid” style, very lively, fast, with multi set-ups with kids and wives, pets, whatever backgrounds and elements that could be brought into the picture. As a clear stylistic counter point I became fascinated with the magnificent environmental portraiture of Arnold Newman. I was attracted to grandness that was also intimate, the planned thoughtfulness of the portraits. I bought my first 4x5 camera, a used Sinar P out of a camera store window. That love of large format image making remains with me today. Taking my cue from Arnold Newman, I began contacting artists on my own, asking to take their picture. Out of that have come many shows, books and magazine assignments, but it’s important to say, I started doing these pictures on my own first. These artist studio sessions continue to be a great pleasure for me. In the beginning, and for a long time the final product was always a 4x5 chrome or Tri-X sheet film. Only later did I shoot Type 55 Polaroid as the final picture, like the Clint Eastwood cover portrait for Entertainment Weekly. To my knowledge, that was the first T55 image used on a national magazine cover. Using the hand held Speed Graphic camera grew out of looking for a solution to creating Civil War style photographs for my friend, director John Frankenheimer’s TBS docu-drama, ANDERSONVILLE. The true story of the infamous Southern prisoner of war camp during the Civil War, it was filmed Georgia, and from the beginning it was obvious that a photographer with a 4x5 camera on a tripod in the middle of a fast action movie set would be an impossibly distracting nuisance. As in, “Get that “expletive” photographer and his “expletive” camera out of there! “ Like kismet, I was introduced to the Speed Graphic camera by one of the worlds most famous photographers, Alfred Eisenstadt, who just happened to overhear my conversation in NY’s Time Life photo lab while dropping off a People Magazine assignment. Of course Eisie first suggested a Linhof Technica, a little pricey for me, so we settled on a Speed Graphic. Talk about tips from the top! MK: Your background with using Polaroid materials is vast. How is it that you became drawn into using these films to create your fine art imagery? JM: My fascination and use of Polaroid as a final image evolved slowly over time. The first complete Polaroid project The Art of Light and Space, published by Abbeville Press, written by Jan Butterfield, Included a portrait of each artist. My 4x5 BW T55 portraits were conceived as the final images for that book, from the very beginning, the color and Tri-X were only a ‘backup.” The artists included such notables as Bruce Nauman, Robert Irwin and Larry Bell. All those portraits were made with a camera on a tripod, by this time I had bought a very light, Wista view camera, which I still use today. I had already photographed many artists using a 4x5 camera and Ektachrome film, including the Chronicle Book California Painters: New Work with curator Henry Hopkins for Chronicle Press. Polaroids until The Art of Light and Space were primarily “test” materials for me. The 24” x 20 “ prints from The Art of Light and Space were stunning, they were exhibited by Rizzoli in New York, Los Angeles and Milan, with the release of the book. MK: For a number of years you were on contract at People Magazine. Did this connection lead you into shooting Polaroid portraits of so many of your celebrity images? JM: It the subject warrants it, I always try to get something special for myself. People Magazine is the most difficult for that because you are trying to get so much, so many different situations and animated activities in a very short time. People Magazine requires such a high octane “ lead opener ” style photograph, that it’s difficult to give up time to pursue much else. Architectural Digest and other such publications offered more brief moment opportunities for experimenting. 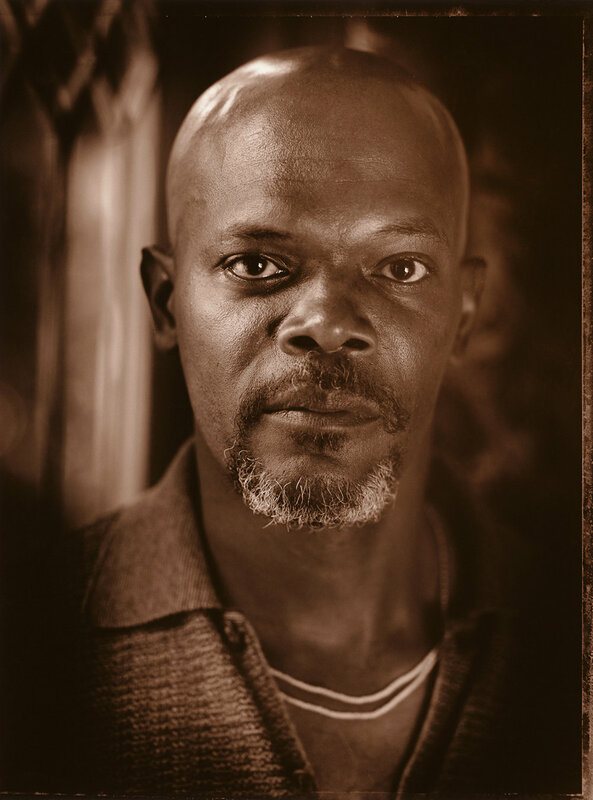 Samuel Jackson’s Polaroid portrait was shot at the end of an Architectural Digest cover shoot. The Polaroid T55 image of Dennis Hopper was made while shooting a color magazine ad for Punch Cigars of Dennis in his get away painting studio in North Carolina. Because of the adventurous celebrity ad campaign, we had already won several Addy Awards, Punch could have selected the artier B&W Polaroid anyway. Time was not wasted. That’s where a Speed Graphic is handy, you can shoot quickly. The Grammy Awards also offered a great opportunity for Polaroid T55 imagery; their very forward thinking marketing director, Rob Senn, even welcomed it. MK: Looking back through the years, is there a single celebrity portrait session that stands out to you above all others? JM: There have been several, but perhaps there are two that have been highly memorable. Equally, the other person would be David Hockney in 1984. Early in my artist project, quite unexpectedly, through the generous introduction by artist Don Bachardy, I was able to ask the English mega artist if I could take his picture. He agreed and the picture from that session became world famous, opened many doors, became the cover of David’s Book That’s the Way I See It, and is now one of the few portraits of David in the new Taschen sumo book David Hockney, A Bigger Book. Most cherished of all, David became a life long friend who has allowed me to see inside the extraordinary, creative world of a master artist. I might add, this was a completely uncalculated result growing out of a small personal photography project, with the good will of artist Don Bachardy and following thru with a phone call. Had I waited for an assignment to go photograph artists I would still be waiting. MK: Does having a background in editorial and advertising photography prepare you for the business end of fine art photography, or do you find these worlds completely different from one another? JM: Yes and no. Commercial work is very different, one works with more people, there is an end goal, a client, the finances are clear. Basically you’re given an assignment and are aware of how much you’re getting paid. Creating a body of work on your own, with the sole intention to exhibit, sell prints, or maybe publish a book is very different task than repurposing photographs from assignments. Very often commercial photographs become fine art photography; meaning, prints are sold and exhibited in a galleries. There is a long list of celebrity photographers, war photographers and rock and roll photographers, to name only a few categories, who possess thriving gallery markets. I come from a very “did you get the shot?” magazine world, which can be the perfect school, as well as limiting. Having a background in fine art, an art school education will equip any artist with better language skills, a historical perspective, a rounder art vocabulary when approaching foundations, museums and academic communities. They approach photography from a very different perspective. However, today these lines blur. Certainly working commercially gives you a head start in organizing your work, setting up work disciplines, advanced technical skills on tap etc. But in the end, with fine art or commercial photography, you need people who support your work, people who sell it and others who buy it. The techniques that accomplish this are always the same, making friends and phone calls, sending promotional materials and soliciting support. There are many ways to go about that, some very subtle, but that’s part of the work. There is a very famous artist, no one I have spoken about already, his studio manager is a very close friend of mine. Of the 365 days in a single year, this artist was out 270 of those nights. Private dinners, museum openings, parties, but really he was at work. Always friendly, easy going; out and about. Quite possibly there were many evenings he would have preferred to stay home watching Netflix. I have an obsession with certain subject matter, Golden Era Los Angeles, which I try to capture in a unique way. People who share that same interest buy prints; maybe because they are beautiful, or create a mood, or bring back a special memory but more importantly, it allows them to participate in the experience I am investigating. It speaks to who they are. Art does that; it expresses who we are, both to the artists, and the patron. Art is about participation, for the buyer and the seller. MK: You have been shooting artist portraits throughout your career, and documenting these creative individuals must have had an incredible impact on you and your own work. Do you feel that their influence has changed how you create your own art? JM: Working with so many artists has given me some very practical knowledge as well the expected creative osmosis. Framing, storing, studio visits, meeting gallery owners are a few of the very practical bits you pick up along the way. But by far the most important gift has been watching different artists approach their work. Robert Irwin, the master Light and Space artist gave me a wonderful lesson while I was photographing him for the Abbeville book art book. Immediately, the very first Polaroid was absolutely, shockingly perfect! The feeling, the composition, a useable T55 negative, everything I hoped for from the shoot. It was an amazing portrait. Everyone, Bob, his wife, my assistant all agreed. “You’ve got it!” exclaimed Bob, a true Jedi master “Trust it, trust yourself.” He was absolutely right, of course, but I didn’t have the confidence to walk away with a lone single frame. We made another dozen 4x5 exposures. None matched that first exposure. Whenever I’m working now, I always remember that experience. You don't always need to do more, you may already have it. Observing David Hockney at work while he painted my daughter Chloe as “The Photographer and His Daughter”, one of several very large canvas studies of couples for the exhibition David Hockney: Portraits was a singular lifetime experience. A quick tip. don’t we late! If David says 9:00 o’clock he means it. He is ready in his studio with brushes and paints, waiting to start when you step through the studio door. We were his subjects for four days, with lunch always at 12:30 with a few more hours back in the studio to paint in the afternoon. Looking at every shadow, every detail, moving to the farthest end of his studio to observe the scene from a distance, looking with a large mirror to see a more two dimensional image. Sometimes I was allowed to leave the scene, he would only paint Chloe, maybe just the pattern on her dress; but when he painted my face Chloe had to remain in posed in front of me, David said that was the only way I would retain a real expression of a father looking at his daughter. What a true observation, and he captured it on canvas so perfectly. Those were some special days never forgotten. The value of creating a body of work, making the work, investing time, money, yourself to create work without a yet discovered purpose. I come from a place where assignments are what are worthwhile; working on your own is more like a hobby. Artists, both the famous and the unknown, work on their own ideas everyday, that's been a good lesson. MK: In 2015, there was an impressive retrospective exhibition of your work at ESMoA (El Segundo Museum of Art) that spanned decades. Looking back this seems to have been a daunting task to put so much of your past on the walls at one time. Was it always to be such a massive exhibit, and how did the it all come about? JM: The show was the brainchild of PBS art critic Edward Goldman, host of the weekly radio show ART Talk and Eva Sweeney, ESMoA’s museum director, who also sits on the board of the Getty Research Institute. Edward brought Eva to my studio for a look at my LA artists archives, the idea came from that simple meeting. We organized another studio visit for ESMoA’s director of exhibitions Bernhard Zunkeler when he returned later from Germany. Zunkeler founded ArtLab21 in Berlin, an art and art education foundation, and is considered a global innovator in museum exhibitions, a true thought leader in that field. Putting the show together was an unimaginable amount of work; we included over 100 artist portraits in the exhibit, ranging from a 15 ft tall copies on canvas of Life Magazine proof sheets to 11x14s prints. Many artist friends loaned their own original works for the show, which were exhibited with their portraits - including Hockney‘s painting “The Photographer and His Daughter,” the large canvas portrait of my daughter Chloe and I. Other longtime artist friends like Ed Ruscha, John Baldessari loaned major art works as well. It was quite a unique exhibition. The entire back wall of the exhibition hall was covered with a 25ft x 25ft print, a Speed Graphic T55 image of LA’s Bryson Hotel, an early Los Angeles architectural landmark. We looked thru every picture and literally thousands of original 3”x4”, 4x5 and 8x10 Polaroids. I have kept almost every Polaroid image I have photographed of artists since I began, 35 or 40 years ago. A selection of these, along with original proof sheets, silver prints and press passes were on display in glass vitrines throughout the exhibit hall. Most fun for me, many new artists were photographed for the show including Germany’s renown Thomas Demand, and writer-artist Cornelia Funke, as well as Joe “Prime” Reza and Big Sleeps, graffiti artists who created the Getty Research Institute’s Black Book project Liber Amicorum. All of these new images were done with Impossible Project instant 8x10. Two other exceptional artists were Allison Saar and Getty fellow, artist Tacita Dean. Almost all of these 8x10 pictures were done as diptychs, using the two panels to show more of the studio space or paintings, without lens distortion. Sometime they are shown as two separate panels, sometimes they are joined. MK: In looking through your work, you seem to have quite an admiration for the city of Los Angeles. Is this merely because you call it home, or is there a deeper connection? Family related, perhaps? JM: It’s very inexpensive for me to travel there – and there’s a place where I can stay pretty cheap. Ha ha! I have a very strong connection to LA, my daughter Chloe is fourth generation Angelino. Even the graffiti guys are all about LA. The project stems from childhood, my early memories, how the city was, values my mother and my grandfather had when they came here before WWII. My mother was a young actress in 1941, contracted to RKO pictures, now Paramount Studio. I often wonder what it felt like, when she stepped off the train from Rochester, Minnesota at 18. She worked at Sax department store in Beverly Hills selling gloves, until the studios discovered her. My mother lived at the Studio Club, apartments offered to young actresses at the time. They had a curfew. Later my mother and I lived in the same apartment building on Holloway Drive where actor Sal Mineo was murdered in the 1960s. It's a movie city, always very dramatic. My grandfather, a songwriter, Jimmy McHugh came to LA from New York deep in the depression, to write songs for the movies when Broadway was collapsing. He and Dorothy Fields wrote, “I’m in the Mood For Love,” one of their first songs in Hollywood, a huge hit. Frank Sinatra made it an even bigger hit. Grandpa later wrote what is undoubtedly LA’s perfect soundtrack “Let’s Get Lost,” made famous in the 50s by Jazz artist Chet Baker. I feel all this when I’m taking pictures of the city, I’m hoping to find little bits of that world that may still remain. MK: Your landscape and architectural images are truly portraits of another kind in so many ways. Do you approach this work in much the same way as photographing people? JM: Sometimes I’ll look at a building for a year, thinking about it. I do think of the urban landscapes as portraits, snapshots of a mood. Certain places have so much personality. I shoot most of that architectural work alone, it’s difficult to have someone with me. It’s very embarrassing because I spend so much time looking and hemming and hawing, people must think, “just shoot it already!” I talk to myself, I walk around, I wait, its nutty really. It’s more like music or painting, of which of course, I do neither. But its like I’m waiting to hear a note, you don't know what it is, but you know what it isn’t and you recognize it immediately when you see it. You catch a vein and ride it. MK: With the Polaroid no longer producing films and Fujifilm discontinuing all of their instant pack films, do you see companies like New55 and Impossible Project (now Polaroid Originals) filling the gap for what seems to be a disappearing segment of the industry? Do you feel that there is still hope for these materials, or do you see them fading away in the not too distant future? JM: I recently had lunch with my good friend Wayne Connelly, President of INNOVA Digital art, they make outstanding fine art papers and canvas for digital printing. He told me an interesting fact. The largest selling photography product on Amazon, by a mile, was Fuji Instax…by a mile! What that means for people like me I don't know, but there is a profound fascination with instant chemical film materials. I use the Impossible Project 8x10 color and BW, its reasonably priced, it gets better and better. The New55 is beautiful. They are releasing their color. Fuji discontinued all their professional instant film this year. Its impossible to judge. I’ve hoarded so much Polaroid much has gone bad for waiting to long to use. Polaroid last production was 2008, so whatever you buy on eBay is really a gamble at this point, and at insane prices. Impossible and New55, God bless them, but they often feel like science experiments, which they are. It’s so wonderful that they continue. Personally I feel its important now to stop buying old materials but rather to financially support these companies who are creating the new materials. MK: Any words of photographic wisdom you wish to impart on a new generation of photographer who finds inspiration in your work? JM: Stay in school. Your mother’s right, stick with accounting! Seriously, I see some really wonderful work, new things done out on the edge of digital capture. It's a very different head, a different set of skills but very interesting to me. Especially lately, working with so many graffiti artists, they are short on rules, big on social media, I am constantly knocked out by films and pictures that kids have made with their phones and other very simple equipment. I like the blend of motion and still, the use of screens. There so much interactiveness with new image making. Also, the artists themselves, the painters, work with such freedom, they collaborate with each other, its given me a whole new way of looking at things. Using “old school” materials, film cameras, instant film takes time. It takes time to learn, time to get good, become accomplished. Subjects being photographed need to take time, slow down. There are advantages to doing that. One of the appeals for me of 19th century photography, William Fox Talbot, Julia Margaret Cameron, or the French photographer Nadar, is how the long exposures and imperfect equipment create a completely different feeling to the image. Shooting with a large format 8x10 or 4x5 starts to bring many of those older techniques to play. Probably most things can be duplicated digitally, or close enough. What I do is an arcane personal endeavor; it’s full of my own internal meaning. The fun is in the doing. I’m not sure who its for or what its for, I just like doing it. I love big cameras; I like the look and touch of those physical materials like Polaroid, or 8x10 holders, weird old cameras like Speed Graphics that make it even more difficult to take pictures. Somehow, when you get home and lay everything out, instant film, your digital cover shots, everything on the table, there’s always the one or hopefully several alternative processes that always stand out, heroes that hands down make it all worthwhile. I’m always looking down at that shot on the table and think, there it is, that's why I lug all this equipment, carry buckets of sodium sulfate, 8x10 processors, whatever. Going through all that effort offers up something special, a uniquely perfect moment. You can find more of Jim's work at his website here. This interview originally published in Issue 52 of Blur Magazine, December, 2017.